GOLFTEC Leads New Golf Digest ‘100 Best Club Fitters in America’ List. 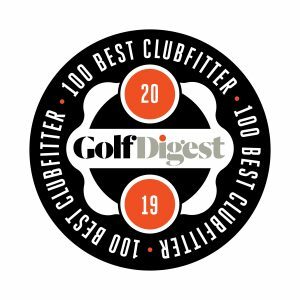 GOLFTEC – the world leader in golf lessons and premium club fittings – topped Golf Digest’s 2018 list of the “100 Best Club Fitters in America” with 36 centers represented in the publication’s December / January issue. The company’s enhanced TECFIT® custom club fitting program is a tour-like fitting experience combining swing characteristics with ball flight data to help identify optimal golf equipment for each student. An array of clubhead/shaft options are available to perfectly match players of any skill level with the clubs that best meet their needs. According to data GOLFTEC collected in 2018, 75% of golfers who experienced a TECFIT custom driver fitting gained an average of 25 yards over their previous equipment. In addition to club fitting, GOLFTEC conducts more lessons than any other company in the world. Its unique fact-based approach has led to the average student dropping an average of seven strokes from their game. Lessons are taught one-on-one by Certified Personal Coaches, mostly in indoor bays that utilize proprietary teaching technology. Developing a comprehensive improvement plan for each student is the foundation of GOLFTEC’s philosophy. « Whitepaper: Is Your Course Up To Par?